by Phyllis Schlafly, Eagle Forum: The United Nations in collusion with Obama’s globalists have cooked up another scheme to slice off a piece of U.S. sovereignty and put us under global government. The plan is to stampede the Senate into ratifying the UN Convention on the Rights of Persons with Disabilities (CRPD). This particular piece of globalist mischief had been unnoticed since President Obama ordered UN Ambassador Susan Rice to sign this treaty on July 30, 2009. Now he is trying to ram it through to ratification. The notion that the UN can provide more benefits or protections for persons with disabilities than the U.S. is bizarre. The United States always treats individuals, able or disabled, rich or poor, innocent or guilty, better than any other nation. We certainly don’t need a committee of foreigners who call themselves “experts” to dictate our laws or customs. But that’s what this treaty and most other UN treaties try to do. We already have protections and benefits for persons with disabilities enshrined in U.S. laws, regulations, and enforcement mechanisms. Prominent among these laws are the Americans with Disabilities Act, the Individuals with Disabilities Education Act, the Fair Housing Act, and the Rehabilitation Act of 1973. Other laws that benefit persons with disabilities are the Telecommunications Act of 1996, the Air Carrier Access Act of 1986, the Voting Accessibility for the Elderly and Handicapped Act of 1984, the Civil Rights of Institutionalized Persons Act, and the Architectural Barriers Act of 1968. These federal laws are enforced by numerous federal agencies, particularly the Civil Rights Division of the Department of Justice. The UN General Assembly adopted the CRPD on December 13, 2006 and it became part of what globalists euphemistically call international law on May 3, 2008, after 20 nations ratified it. The treaty now has 117 nations that have ratified it. These demands are often outside the treaty’s scope of subject matter. They override national sovereignty in pursuit of social engineering, feminist ideology, or merely busybody interference in a country’s internal affairs. CRPD’s Article 7 gives the government the power to override every decision of the parent of a disabled child by using the caveat “the best interest of the child.” This phrase has already been abused by family courts to substitute judges’ decisions for parents’ decisions, and transferring the use of that phrase to the government or to a UN committee is the wrong way to go. The feminists saw to it that this treaty on disabilities includes language in Article 25 that requires signatory states to “provide persons with disabilities … free or affordable health care … including in the area of sexual and reproductive health and population-based health programmes.” Wow! When the UN approved the CRPD, the United States made a statement that the phrase “reproductive health” does not include abortion. But that’s just whistling in the wind because international law does not recognize the validity of one nation’s reservations to a treaty ratified by many other nations. After ratification, treaties become part of the “supreme law” of the United States on a par with federal statutes. That gives supremacist judges the power to invent their own interpretations, which some are all too eager to do. It’s easy to predict that some pro-abortion supremacist judges will rule that the CRPD, if part of the supreme law of our land, includes abortion. Several Supreme Court justices, including Ruth Bader Ginsburg, have urged us to use foreign law in interpreting U.S. domestic law. Another problem with this treaty on disabilities is its failure to give workable definitions. When the treaty states that “disability is an evolving concept,” that means open sesame for litigation against the U.S. This treaty is a broadside attack on parents’ rights to raise their children, and it’s a particular threat to homeschooling families because of the known bureaucratic bias against homeschooling and against spanking. It is clear that both the United States and persons with disabilities are much better off relying on U.S. law than on any UN treaty. 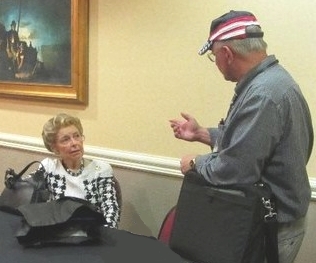 Tags: Phyllis Schlafly, Eagle Forum, United Nations, UN, UN Treaty, Rights of Persons with Disabilities, CRPD, disabilities, parents' rights To share or post to your site, click on "Post Link". Please mention / link to the ARRA News Service. Thanks! 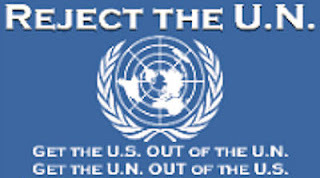 Get The US Out Of The UN -- and Get The UN Out Of The US.